The FA Cup has become a surplus to requirements for some teams in recent years. But two managers with realistic ambitions to lift the trophy will go head-to-head, as the two teams with the most FA Cup wins (Arsenal (13) and Manchester United (12) clash at the Emirates Stadium on Friday evening. After being obliterated 5-1 away to Liverpool, and falling 1-0 against West Ham, the feel-good factor is back at Arsenal thanks to a convincing 2-0 victory against rivals Chelsea last weekend. Unai Emery’s men have lost just twice at home all season: the first, on the opening day of the campaign to Man City; and then in the EFL quarter-finals, in a North London derby against Tottenham. Alexandre Lacazette’s stunning solo effort took his goal tally to double figures for the season, proving he is a legitimate second punch for the Gunners forward line, behind top scorer Pierre-Emerick Aubameyang (16 in all competitions). Ole Gunnar Solskjær is riding a wave of enthusiasm that has carried the Red Devils to seven-consecutive wins, including a hard fought 1-0 victory away to Tottenham. Marcus Rashford has scored five goals and added an assist since Solskjær’s arrival, whilst Paul Pogba has been rejuvenated; also bagging five goals from midfield in the six games he’s appeared in, as well as registering four assists. Despite United’s impressive form, their defensive frailties remain for all to see. Only an inspired David de Gea performance allowed them to escape from Wembley with three-points, and on Saturday they were left to hang on against Brighton, after conceding an avoidable second-half goal. Both teams made several changes for their third round fixtures, but with four days until their next Premier League games against struggling outfits Cardiff and Burnley, both managers will be expected to field full strength teams. Hector Bellerin has been ruled out for the remainder of the season after rupturing the ACL on his left knee against Chelsea. Solskjær has confirmed that former Arsenal striker Alexis Sánchez will be involved, whilst Henrikh Mkhitaryan remains sidelined with a foot injury. “I was watching their last matches and each player has a lot of confidence, with big performances, and now they are very dangerous,” – Emery on United under Solskjær. “He’s very good, high energy and I don’t know what team he’s going to play, he’s got loads of different tactics. They’ve made a very good signing,” – Solskjær on Emery. 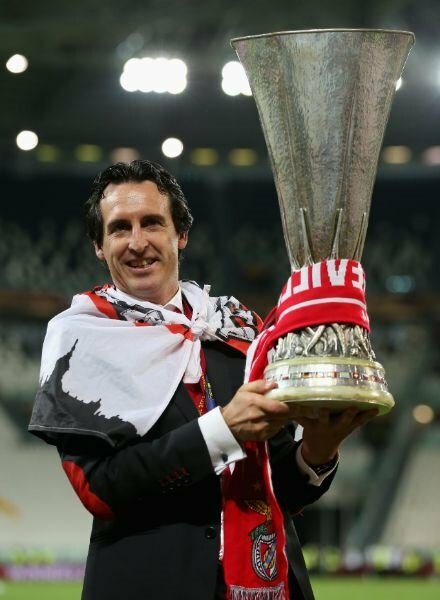 With Sevilla, Emery won the Europa League for three consecutive years to elevate his stock to one of the most sought after managers in Europe. Although he fell short of PSG’s Champions League targets, Emery still added several domestic cups to his trophy cabinet before embarking on his North London adventure. Set to face PSG’s mighty attack in the Champions League, and with the Premier League out of sight, Solskjær knows that the FA Cup represents United’s best chance to win a trophy this year. 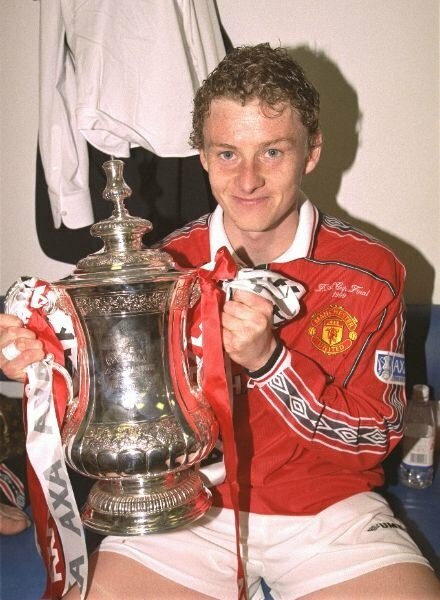 As a player, the Baby-faced Assassin made it to three FA Cup finals with United, winning the competition twice in 1999 and 2004. In those three cup runs, Solskjær netted just once, but that goal was a ‘Fergie-time’ winner against rivals Liverpool, which proved to be the springboard to United’s ’99 Treble charge; ending in ‘that’ goal at the Nou Camp. A top four finish in the Premier League remains both clubs’ priority, however on Friday evening, their sole focus will be the FA Cup!